A movement started by a retired secretary with a protest sign has developed into a statewide effort to force the first recall of an elected official in Idaho's history—an effort that is coming to Hailey this weekend. The Committee to Recall Tom Luna is issuing a call for volunteers to help organize petition-signing events in Blaine County. "They don't have to be political experts of any sort, but we're looking for people with some hours out of the week," said Morgan Hill, campaign manager for the committee. The committee has until June 30 to collect more than 150,000 signatures to put a recall vote on November's ballot. To reach that goal, the committee is amassing volunteers statewide to help organize regularly scheduled times and places for citizens to come and show support. 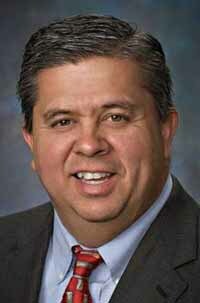 The Committee to Recall Tom Luna was started by former Mountain Home Air Force Base secretary Nancy Berto in February, before the superintendent's three controversial education reforms had even been signed into law. Berto sat outside hearings at the state Capitol as the Legislature debated the bills, holding signs that said "Stop the Luna-cy" and "Save Our Schools." Now, Berto's solitary endeavor has exploded into what Hill calls a "legitimate political action committee." The premise of the movement is that Luna did not mention the reforms in his campaign and should be held accountable for the omission. "We have tons of volunteers who say, 'I voted for him. I'm a Republican and I want to help recall this guy,'" said Hill, who voted for Luna's opponent, Stan Olson. Melissa McGrath, spokeswoman for Luna's office, said Luna's election clearly reflected the will of Idahoans. "In November, the people of Idaho spoke and re-elected Superintendent Luna with more than 60 percent of the vote and a 21-precent margin," she said in a prepared statement. The reform bills created a merit pay system for teachers while limiting the bargaining power of teachers unions and cutting state funding for salaries. The third bill mandated technology increases and called for the Board of Education to consider implementing online courses. "There is a huge line of hypocrisy with this," Hill said. "These men claim to be fiscally conservative, but they're going to funnel taxpayer dollars out of state to online education and then spend millions of taxpayer dollars on laptops." The committee began collecting signatures on April 16. So far, it has collected close to 6,000 of the 158,107 required. To remove Luna would take at least 268,852 votes in a special election. "I know 6,000 sounds a little low, but we're expanding our efforts," Hill said, adding that the committee's Facebook page is receiving 80,000 hits a day and the organization is growing quickly. Still, the Idaho Education Association has not officially endorsed the movement, choosing to focus on repeal of the bills themselves. Tryntje Van Slyke, president of the Blaine County Education Association, said the local association does not discourage its members from helping the recall efforts. "If people want to do that, it's their prerogative," she said. "[But] it seems that referendums for the bills that are most destructive will do the most good." In order to get on the ballot, the referendums need 47,432 signatures. Hill said the committee supports the repeal as well. "We hope that if one thing succeeds in the state, it's the repeal, but the recall is really important," he said. "In Idaho, you can run for office, get elected and ram through any kind of bill or legislation you like. It's an attempt to bring accountability to that office." Hill will conduct volunteer training at 11 a.m. on Saturday, April 23, at McClain's Pizza in Hailey. Training is open to the public.